The best of Denmark - this page is your key to moving and living in Denmark. Here is the essential information if you are moving to Denmark with advice on accommodation, schools, banking, jobs and much more. Ask our experts about setting up a business or buying a property. Our sports clubs, business groups and social events will get you involved in the community. Enjoy life, work, play & sport in Denmark. In order to make your expatriation easier, feel free to use our different services below. Dominating the world’s export industry and recognized as one of the richest countries in the world, Denmark is a beautiful destination for expats to enjoy. The country of Denmark is squeezed between the Baltic and the North Sea and is the smallest Scandinavian country. Denmark consists of one large peninsula (Jutland) and several islands. The country holds a population of 5, 659, 715 individuals, with expats making up 10% of the population. Denmark is also considered one of the safest countries in the world, boasting a low crime rate. The safe image of Denmark is a reflection of its culture; it is said that Danish mothers can leave their babies outside cafes to nap, and children can walk to school on their own. Copenhagen, the capital, is the largest Scandinavian city and a prime tourist location. You can find numerous parks and gardens all over the city. Other major cities are Odense, the birthplace of the fairytale writer Hans Christian Anderson; Århus, known for Arhus Domkirke, the tallest 13th century cathedral located in the heart of the city; and Aalborg, the fourth largest city dubbed as the "Paris of the North". Denmark is a constitutional monarchy and is officially known as The Kingdom of Denmark. The monarchy is popular; the Danish Royal Family has incredibly impressive approval ratings ranging from 80% to 90%. Margaret II has been the Queen of Denmark since 1972. The Constitution appoints the Danish monarch as the head of state, and the monarch, in turn, consults the people (represented by the parliamentary leaders) in choosing a Prime Minister. Denmark is a pioneer in developing commercial wind power, which converts wind energy into electricity using wind turbines. Today, Denmark has the largest wind turbine industry in the world. Wind turbines have also become an important export and have been installed in more than 62 countries by Vestas, a Danish wind turbine manufacturer. A majority of the population uses alternative energy sources like wind power, solar energy, and geothermal heat. Denmark's flexible labour market, with its stable employment rate of 63% is very appealing to foreigners. Major job industries include the petroleum and gas industry along with the iron, steel, nonferrous metals and chemical industries. The currency used in Denmark is the Danish Krone, and expats who will be looking for jobs in Denmark will find that the average salary earned is kr 41,189. The Danish model (or flexicurity) is a mix of a flexible labor market and a generous social security system. Consequently, Denmark's hiring and firing rules are flexible for employers, allowing the companies to adapt easily to the current market trends and limit losses. The unemployed are well supported in the labor market, as Denmark invests heavily in retraining. Foreign nationals are working in Denmark pay taxes through their wages to the Danish state. 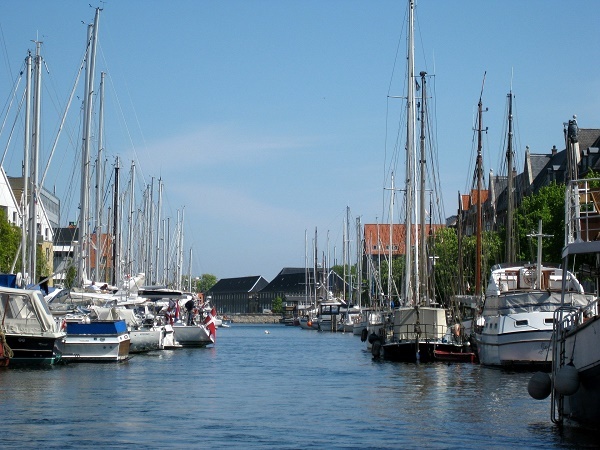 Although taxes in Denmark are the highest in the world, they are used as a tool to achieve income equalization, and Danes are happy to pay these taxes. These taxes provide an efficient welfare system, education, care for the elderly, pensions and unlimited access to doctors and hospitals. Danes enjoy the lowest income inequality in the world today. With an excellent healthcare system and a high quality of life, it’s easy to see why so many people from all over the world are attracted to what Denmark has to offer. If you are looking for a country that offers a well-developed infrastructure combined with a medieval feel, relocating to Denmark is the perfect decision for you to make. Relocation is never easy, and relocating to Denmark is no exception. Customs regulations differ depending if you are from an EU country or non-EU. Expats coming from non-EU countries can ship household goods duty-free, if they will take residence in Denmark and if the goods are owned and used for a minimum of 6 months prior to the move and will not be used for resale. Travelers who will not take residence in Denmark cannot import household goods duty-free. Everything in Denmark is expensive,overseas shipping of items tends to be costly due to the bulk of items. Get the best quote from movers to Denmark to get the best deal. Before contracting removal companies, decide on what to bring. Compared to the US, housing in Denmark is much smaller. Expats should think twice about bringing big furniture. Make sure the electrical appliances will run on 230 volts and 50Hz Round European-style, two-pin plugs; otherwise, one can opt to bring plug adapters or converters. During the winter months (December through March), expect a very wet and cold climate. It is best to bring warm clothes, windbreakers or sweaters, rain gear, socks and indoor footwear. When living in the city, bring your best pair of comfortable walking shoes. Removals to Denmark should not include prohibited items such as knives, guns, illegal drugs, fireworks, explosives. Importing cars to Denmark might not be cost-effective due the Danish registration tax, which is extremely high. Customs regulations update without notice. It is highly recommended to check the Danish Customs Authorities or SKAT website before travelling or contacting a removal company. Denmark is a Scandinavian country renowned across the world for its thriving economy, excellent work conditions and picture-perfect sceneries. This land that once served as the home of the mighty Vikings has undoubtedly become one of the most favourable expat destinations in Northern Europe. In 2016, Denmark was ranked as the 3rd top country in the world with the highest quality of life whereas citizens enjoy quality education, clean environment, security and work-life balance. Denmark is also consistently referred to as the ‘happiest country’ on earth because of its excellent healthcare system, commitment to freedom of speech and liberal social welfare system. Most expats who live in this country work in the fields of information technology, agriculture, and the health sector (such as nurses, doctors and pharmacists). With and impressive quality of life combined with a dynamic economy, it is truly a delight to be an expat in Denmark. 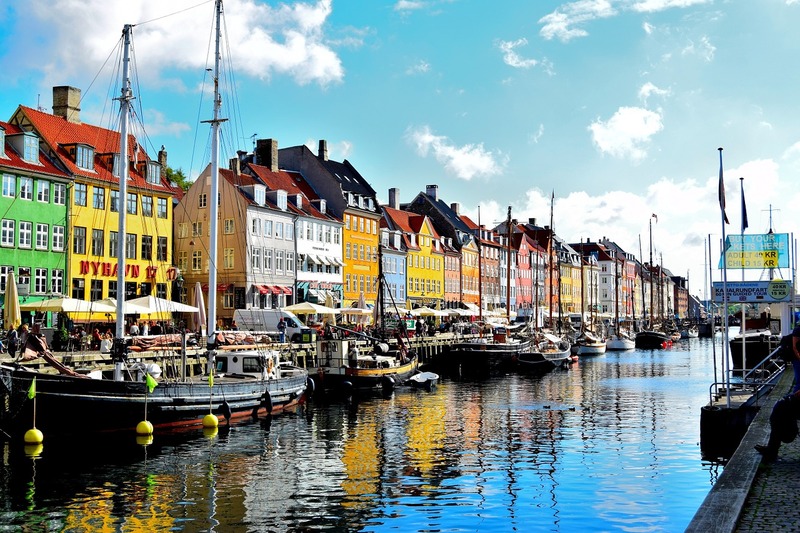 Denmark is also known as the one of the best family holiday destinations on earth and expat parents moving here will be relieved to know that there will be tonnes of fun-filled activities that will keep their little ones from feeling homesick. Denmark’s pleasant climate is perfect for leisure activities such as sports, scouting, music, theatre and arts. Most Danish kids are members of sports clubs such as football and handball. Other sports activities that kids engage in are swimming, gymnastics, badminton and roller-skating. There are also more than 200 music schools in Denmark where children or young adults can practice their musical abilities and prowess. Music classes are usually in the afternoon or the evening. Annual fees normally range from DKK 800 (USD$139.00) to DKK 3,000 (USD$524.00). Parents can treat their little ones at zoos, museums and amusement parks during weekends. Denmark houses some of the most famous amusement parks in the world such as the Tivoli Pleasure Gardens in Copenhagen, the Dyrehavsbakken which is the world's oldest amusement park and of course the Legoland in Billund. Other top attractions that kids will love in Denmark are the Bue Planet which is the largest aquarium in Northern Europe and the Djurs Summer Park, a massive aqua park that houses more than 60 rides. Expats who plan to ship their car to Denmark or purchase a car will need to know about the country’s approach to driving rules and regulations. Denmark uses similar driving rules as the rest of the EU. Expats are expected to know the driving regulations and follow the driving rules. Driving penalties can be on the spot fines or jail time, so never drink and drive. The legal driving limit is 0.05% BrAC (Breath alcohol concentration). Driving in Denmark is in the right-hand lane and cars may only pass on the left. Speed limits range from 50kph/31mph in towns and cities, 80kph/49mph on open roads and 130kph/81mph on the main 4-lane highways. 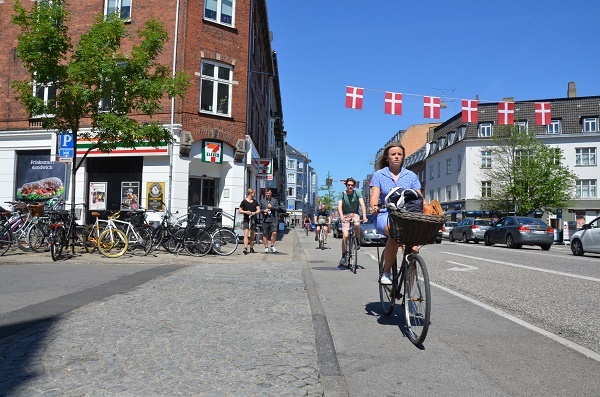 Be cautious of the many bike paths, lanes and cyclists in Denmark, as they have the right of way. EU/EEA member states can use their existing driver's license in Denmark. A driver's license issued by Russia, South Korea, Japan or Switzerland will need to be exchanged to Danish if the drivers intend to establish residency in Denmark. Drivers, however, are not required to take any tests. Those with foreign driver's license that are not issued by EU/EEA member states can drive in Denmark for the first two weeks (14 days) to establish residence. After two weeks, foreign nationals need to exchange their foreign license for a Danish license. For further information, expats can visit the website of the Danish Road Safety Agency. The Danes, by nature, are friendly and supportive; however, expats in Denmark should understand that after work, Danes spend their leisure time with their family. The family is the heart of the social structure in Denmark. Meet-ups on cafes or bars are uncommon in an average Danish lifestyle as most are at home with their kin. When invited to a Danish home, show appreciation to the host by giving flowers or a nice bottle of wine. Danish dining etiquette starts with toast or "Skol!" (Salute/cheers) before eating. Avoid discussing work in any social gathering; remember that Danes do not mix business with pleasure. Expats should avoid yelling or trying too hard to stand out. Danes are known to behave in a reserved manner and try to be modest about their accomplishments. They also expect others to do the same. Peaceful environment, happy people, high standards of living, and the highest degree of social equality - there's so many beautiful things to smile about in Denmark.